Based in Seoul, The Global Green Growth Institute (GGGI) is an intergovernmental organization founded to support and promote a model of economic growth known as 'green growth', which targets key aspects of economic performance such a poverty reduction, job creation, social inclusion, and environmental sustainability. GGGI works with countries around the world, building their capacity and working collaboratively on green growth policies that can impact the lives of millions. The organization partners with countries, multilateral institutions, government bodies, and private sector to help build economies that grow strongly and are more efficient and sustainable in the use of natural resources, less carbon intensive, and more resilient to climate change. GGGI supports stakeholders through complementary and integrated workstreams – Green Growth Planning & Implementation and Investment and Policy Solutions – that deliver comprehensive products designed to assist in developing, financing, and mainstreaming green growth in national economic development plans. Since 2012, GGGI has worked with the government of Viet Nam, in the finance sector with the Ministry of Planning and Investment (MPI), in green cities with the Ministry of Construction (MOC) and on renewable energy with the Ministry of Industry and Trade (MOIT). GGGI works to provide strategic policy advice as well as prioritization and development of bankable projects. GGGI and MPI have recently published the 2016-2020 Country Planning Framework (CPF) for Viet Nam, which confirms GGGI's partnership with the government will focus in the green city, finance and energy sectors to enable Viet Nam to achieve its ambitious development goals in a green and inclusive way. GGGI's project with MOC – Viet Nam's Urban Green Growth Action – has been implemented since 2015. The ultimate aim is to strengthen the ability of stakeholders in Viet Nam to integrate green growth objectives into their planning, development, and investment processes in the urban setting. In Phase I (2015), the project developed urban green growth indicators, conducted a status quo assessment of urban green growth policies and activities, and developed capacity development trainings for government officials of MOC and relevant departments and cities. In Phase II (2016), the project continued to conduct capacity development trainings, completed the investment prioritization exercises in two cities; Dien Ban and Tra Vinh, and supported MOC to review the Urban Planning Code and developed a Circular for Green City Indicators. Conduct assessment of potential green city developments that would help achieve Vietnam's NDC commitments and submit to government. Since cities are engines for both growth and emissions, GGGI will conduct an assessment of the potential contributions by cities to NDC achievement. The findings, validated in consultation with stakeholders, will facilitate the alignment of local policy and planning with national low-carbon objectives, and assist cities and the MOC to implement a sectoral green growth action plan. Support the Vietnam Urban Forum (VUF) to design and deliver knowledge sharing activities, including the annual meeting and Urban Green Growth Week. GGGI will provide experts to speak at events on urban green growth in Viet Nam but also to provide experience from other GGGI programs. Develop feasibility studies and financing proposals for 2 projects in green urban infrastructure and submit to government. Previous GGGI support identified and prioritized investment opportunities for urban infrastructure projects. GGGI will build on that support by conducting pre-feasibility studies and assessing available funding options. Findings will result in GGGI designing a business case for potential funding entities, and supporting projects to access identified funding sources. The Project is managed and implemented by GGGI, in partnership with the Ministry of Construction, the Project counterpart. MOC provides leadership, technical inputs, coordination support and liaises with relevant government agencies and development partners. The Project is working at the national level with MOC as well as focusing on several pilot cities. Introduction: Based in Seoul, The Global Green Growth Institute (GGGI) is an intergovernmental organization founded to support and promote a model of economic growth known as 'green growth', which targets key aspects of economic performance such a poverty reduction, job creation, social inclusion, and environmental sustainability. GGGI works with countries around the world, building their capacity and working collaboratively on green growth policies that can impact the lives of millions. The organization partners with countries, multilateral institutions, government bodies, and private sector to help build economies that grow strongly and are more efficient and sustainable in the use of natural resources, less carbon intensive, and more resilient to climate change. Objectives/Purpose of the Assignment: The objectives of this assignment are to review urban actions related to NDC at the city level, specifically on the energy sector, give recommendations on how cities can contribute to the achievement of Viet Nam's NDC, and enhance the Urban Green Growth Strategic Action Plan to reflect these recommendations. This assignment will be part of a wider work which will facilitate the alignment of city's policy and planning with NDC targets. It supports the city's execution of NDC implementation plan in the future and contribute to Viet Nam's commitment to the Paris Agreement. 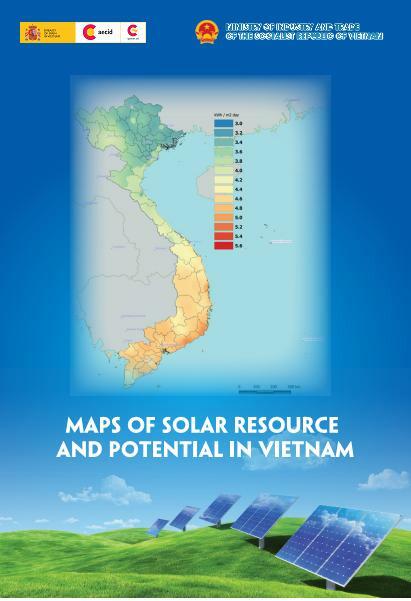 Scope of Work: Viet Nam's Nationally Determined Contributions (NDC) was issued in November 2015 as a commitment to reduce its Green House Gas (GHG) emission, contributing to limiting global warming to less than 2 degrees by the end of the century. Viet Nam's NDC clearly states its emission reduction target is 8% compared to BAU (unconditional contribution) and 25% with international support (conditional contribution). To be able to achieve these targets, Viet Nam has developed National GHG emission reduction options for the 2021 – 2030 period for four sectors: Energy, Agriculture, LULUCF, and Waste. Viet Nam's NDC was submitted to UNFCCC in 2015. In 2016, the Ministry of Natural Resources and Environment drafted a Plan for Implementation of the Paris Agreement which lays out activities to reach the emission reduction target. The Plan is scheduled to publish in 2017. In the energy sector, the GHG mitigation options were developed based on the BAU scenario, assuming that new policies will be developed to support the application of mitigation technologies, including energy-saving and the deployment of renewable energy. Mitigation options were assessed in terms of efficiency, incremental costs, mitigation potentials, and co-benefits compared to the BAU. 17 mitigation options were identified: 4 on energy-saving and renewable energy in households, 2 on energy-saving and renewable energy in industry, 3 on energy-saving and renewable energy in transport, 1 on energy-saving and renewable energy in commercial services and 7 on energy-saving and renewable energy for electricity production. The options were assessed based on the current state of technology and its application, as well as the objectives set out in sectoral development strategies, such as the National Energy Development Strategy, the Transportation Development Strategy and the Power Development Plan VII. On the other hand, in 2016, GGGI developed the Urban Green Growth Strategic Action Plan that lists out actions and timeframe to implement and mainstream Green Growth in the urban sector. The Action Plan is created in accordance with the National Green Growth Strategy and the National Green Growth Action Plan and provides a guidance to cities class III and above on what and how to implement Green Growth. Review the Viet Nam's NDC Technical Report and NDC Implementation Plan issued by the Ministry of Natural Resources and Environment. Assess the current status of implementation of these options in cities class III and above. Analyze the financial and human resources that cities class III and above need in the future to realise the action plan and achieve NDC. The Consultant shall directly report to the Country Representative of GGGI Viet Nam office. All reports must be in English, prepared in accordance with GGGI's formatting requirements, and submitted in hard copy and electronic formats along with complete sets of raw data, research materials, and related information.